With online jobs becoming even more lucrative, more and more people are looking online for a piece of the proverbial pie. However, while online jobs have many advantages over the conventional 9 to 5, one of the biggest questions I get in my inbox is how to find a job online with no experience. 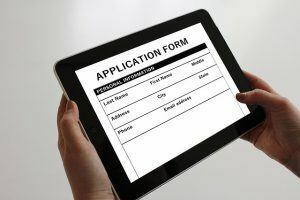 Even as there are so many job advertisements online that you could apply for, many require some experience before you can get hired. The requirement for experience in some online jobs may be frustrating, given that just like in the traditional job environment you will likely start without any experience. This is especially so if you just finished school or are looking to start a new career. Fortunately, you do not need to accumulate years of work experience under your belt to get started in online jobs. 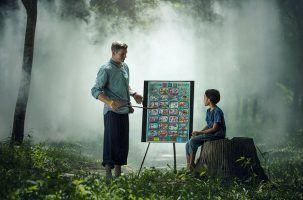 Even though there are some online jobs such as healthcare, teaching, marketing, SEO, and programming that require some experience, advanced education, and training, most online beginner jobs do not. One of the best things about beginner online jobs is that most employers will be looking for proficiency over work experience. If you have the aptitude and demonstrated ability to learn or to improvise, you may just have that work experience that the employer is looking for. Moreover, just about anyone has a little bit of skill or education that someone is looking for – It is just a matter of looking in the right place. a) Teach English – If you know a foreign language or even just English, you could earn some good money teaching students how to speak or write English or whatever language you are good at. Many companies such as Cambly, English Hunt, and iTalki will offer you a position to teach a language to students for reasonable pay. b) Teach in your Area of Expertise – If you are knowledgeable in any field, chances are there are people who may need some coaching in that field. High school students will usually go online looking for tutors on sites such as Tutor, Naukri, and Eduwizards. With most of these companies, you can register a profile and be earning online within a few weeks. c) Grading/Scoring – While not technically a teaching job, it is one of the easiest ways to get into online jobs. If you have qualifications in a particular subject, you can become an online grader or scorer where you would grade student tests, review essays, and offer feedback. You can find such work with companies such as Measurement Inc or Literably. a) Market Research – Market research is one of the easiest jobs you can find that practically requires no qualifications. As a market researcher, you will be required to conduct research on products or market demographics that a given company may be interested into getting into. b) Survey Administrator – Related to the role of market researcher is a survey administrator. As a survey administrator, you can carry out varied roles such as collecting information on rents in a given area or perspectives of buyers on the quality of a product from the comfort of your home. There are many such jobs from companies such as Vocalabs or Yardi Matrix, where you only need to register a profile, take a test, and be working as soon as you can. a) Data Entry – Data entry is one of the most common jobs that you will find online. To become a data entry expert, register at companies such as Amazon’s Mechanical Turk, Axion Data Services, or Accutran Global that offer a range of tasks from video captioning, transcribing, to filling forms among many others. b) Call Reviewer – If you have a good phone voice and are pleasant enough then a job as a phone call sorter may be good for you. As a phone call reviewer, you will be required to sort phone calls and route them to the respective departments of a company. You can find these jobs at companies such as Reynolds & Reynolds or Humanatic after doing a small task based test. c) Virtual Assistant – If you are good at juggling multiple tasks, learn quickly, and can demonstrate some aptitude and responsibility, you can work as an online virtual assistant. As a virtual assistant, you can work a variety of jobs from answering phone calls, managing email, social media channels, forum moderator, among many others. Some of the more common virtual assistant websites you can join for work include 99 Dollar Social and Fancy Hands. a) Write Articles – Many people who have websites either do not have the time to write articles for their websites or lack the technical proficiency to do so. If you can write reasonably well, you can make some good money providing content to such people. Some of the sites where you could start your online writing career include Iwriter and Hirewriters. b) Write Business Plans/Proposals – As long as people are engaging in business, they will always need business plans and proposals. 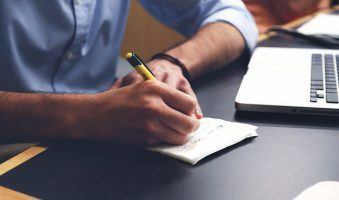 Writing a business plan is not as hard as it seems. Any person with good research skills can come up with a good proposal or business plan that they can sell to a businessperson seeking such services. Jobs writing business plans can be found in such varied places as Indeed.com, and Monster.com. a) Website chat/Customer service – With more companies outsourcing their customer service, this is one of the best ways to get into online jobs. As a website chat operator, you will be answering customer queries about the product offerings of your company. All this requires is knowledge of the company’s product offering, which you can gain while on the job. b) Sales – You could get an online sales job where you would make phone calls from your home to prospective clients from the comfort of your home. All you would need to have is the necessary equipment, after which you can get a job from companies such as Validate Response and Liveops. a) Application or Website Tester – This job is the best way to earn early bird access to the coolest new games and websites while earning some money. With new games, applications and websites needing testers, all you would need to do to get started is to register at companies such as Analysia, Utest, and YouEye, which will offer compensation for every website, application, or game you test. These days building a website is a simple and easy process. Many businesses promote their products and services with a website. You can consider creating a website to promote your work and your skills. It takes more time to get results than just applying for jobs but if you get traffic, it will be the most effective way to find new jobs and opportunities. You can also practice your skills especially if you are a writer or virtual assistant. On your website, you can have your resume, a sample of your work and relative posts to your job. Keep in my mind that a website can be a source of extra income after a while and you will be considered as an expert if you provide your readers with helpful information.